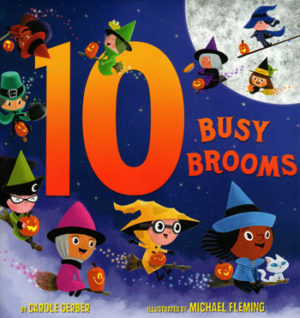 “This is such a cute counting book that’s Halloween/witch themed, but don’t worry — it’s super happy and bright and fun. My nephew loves it and keeps asking for me to read it again (and again and again). Beautiful illustrations — I love how each character is unique and diverse.” Goodreads Sep 14, 2016 Kendra rated it 5 stars.